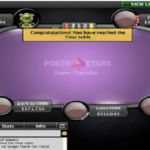 Tomi “elmerixx” Brouk of Finland has won the latest Super Tuesday event took place at PokerStars. 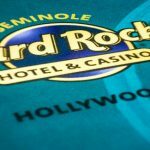 The event was $1,050 buy-in No Limit Hold’em to which the finnish player did great at the end and collected the first prize of amount $60,924. The runner-up of the event was a player fro Uruguay named Francisco “Tomatee” Benitez and he pocketed an amount of $51,739 being second in the match. 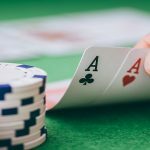 The heads-up deal decided that who would be the winner of the match. 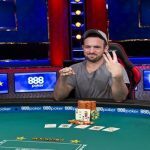 The heads-up deal left $6,500 for the winner as well. 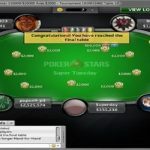 Third position of the match belongs to a pro poker player from Canada named M-Spot69 and he took home an amount of $35,026 from the tournament. 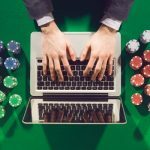 This latest poker event received 355 entries from various parts of the world and generated $355,000 as total prize pool. Top 53 places of the match collected some money of money as their winning shares. 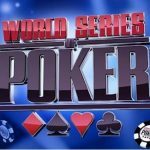 First player busted from the final table was a Russian DRONCHEK. He was out to 9th place and pocketed $5,490.53 from the title. 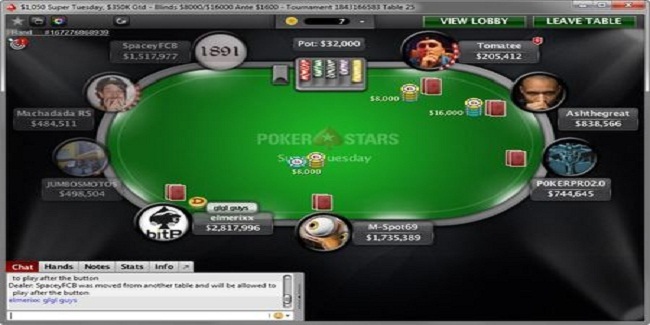 UK’s Ashthegreat pocketed $7,477.32 from the title. He busted to eighth place. Then a Brazilian player left the field named Machadada RS. 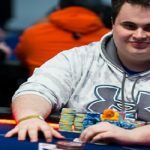 He was able to take home $10,182.99.